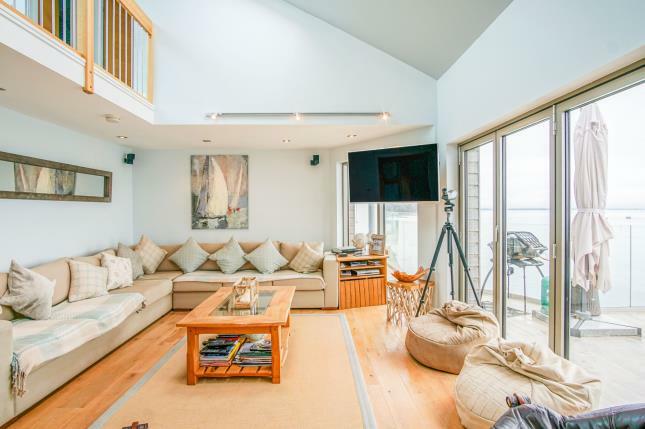 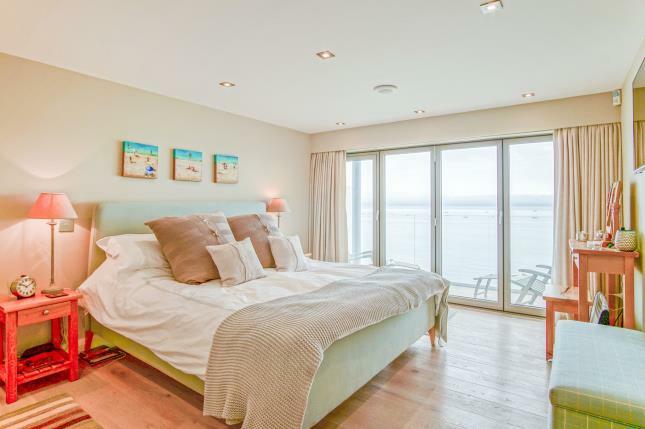 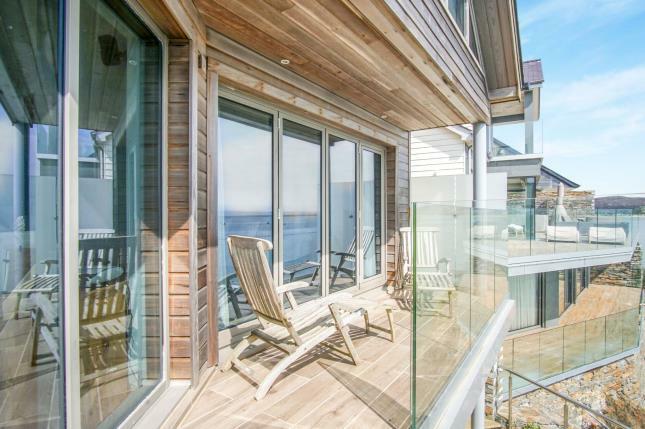 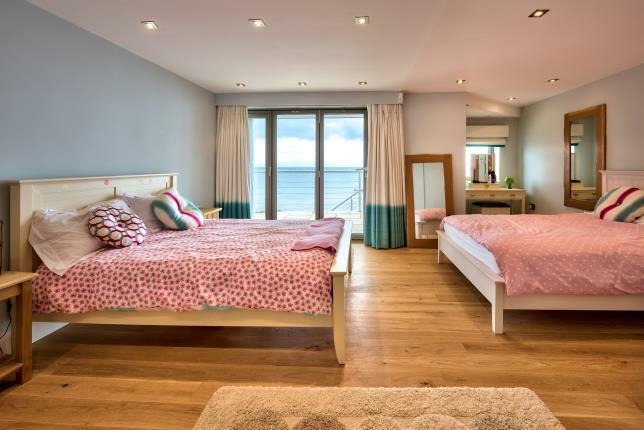 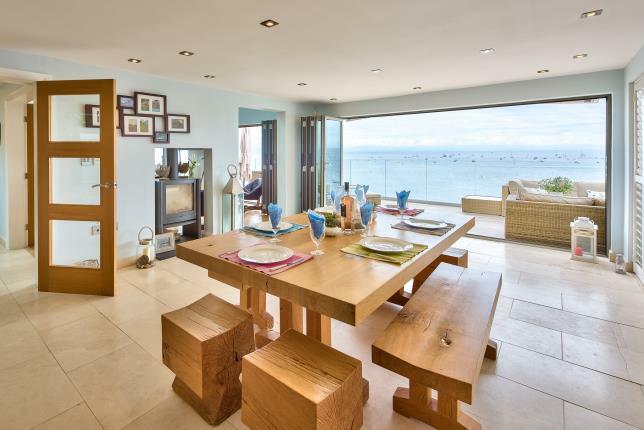 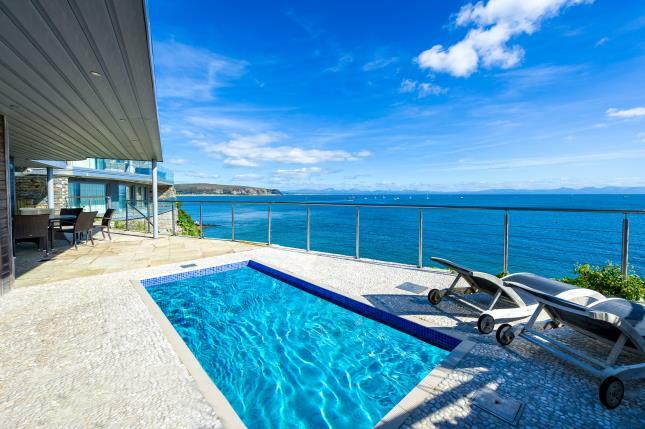 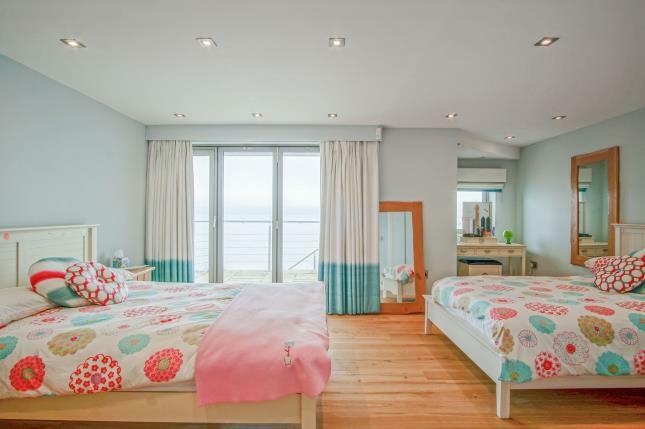 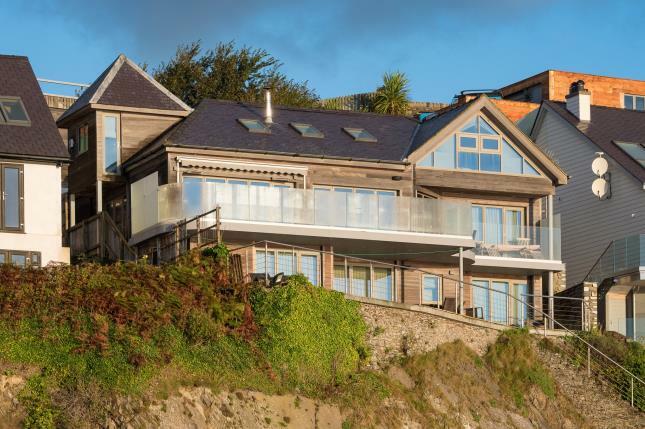 An outstanding premium modern contemporary designed coastal residence. 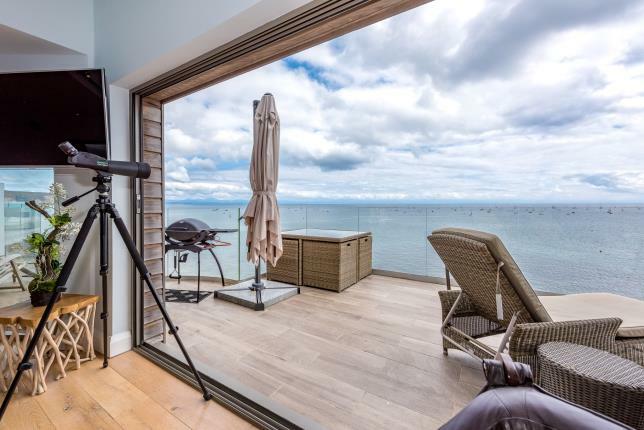 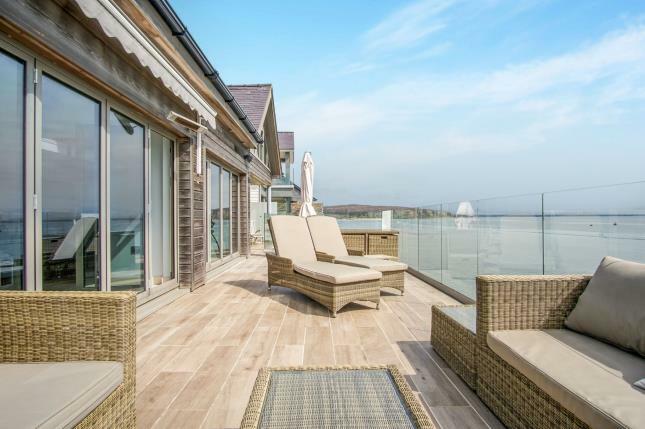 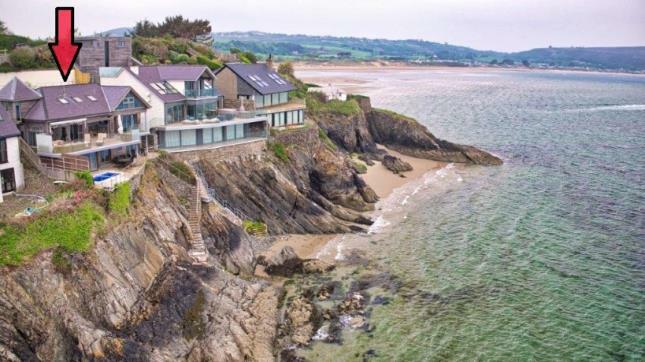 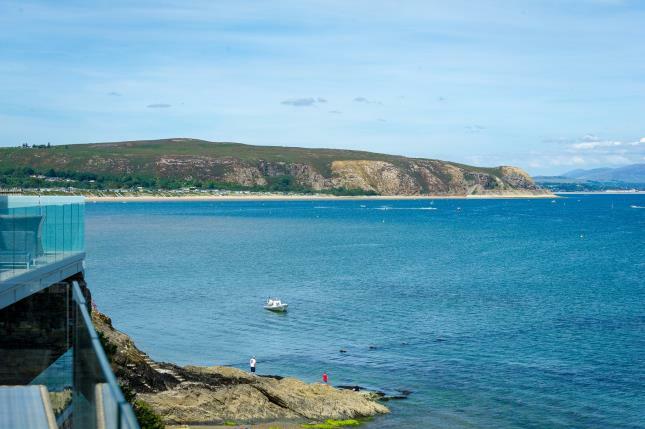 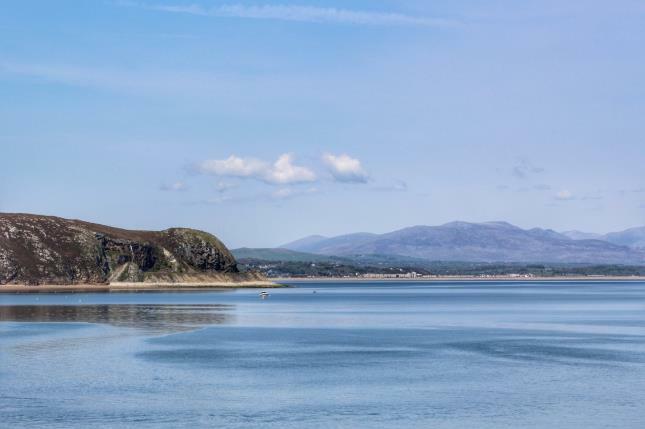 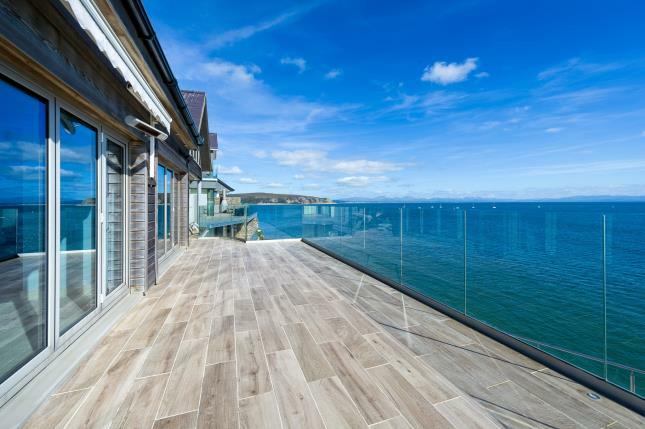 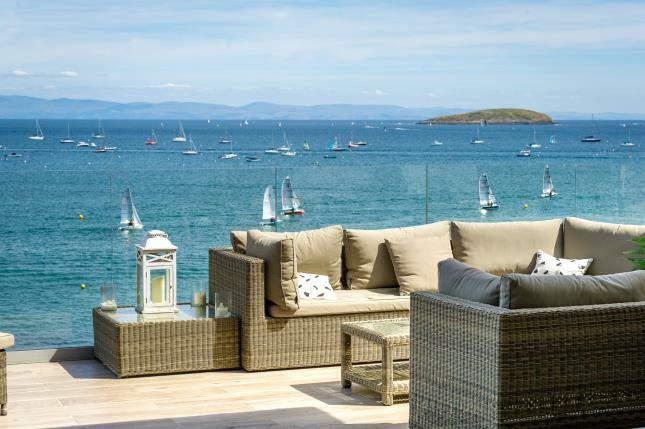 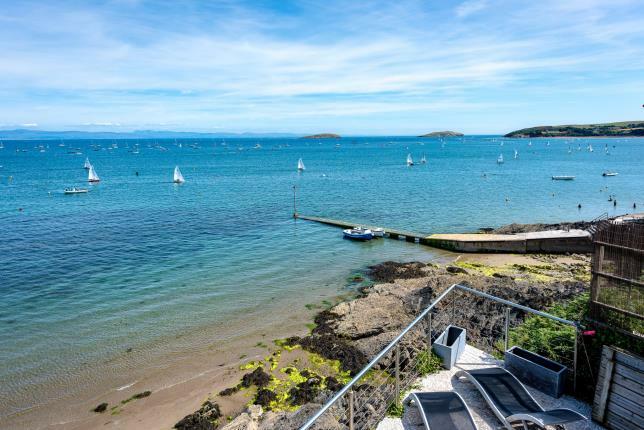 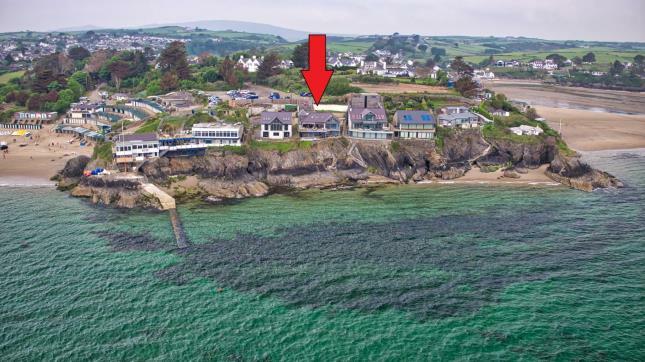 The property is directly on the cliff top of this iconic residential headland, being the second property along from the well renowned South Caernarfonshire Yacht club, enjoying unsurpassed 180 degree panoramic views across Cardigan Bay, the Abersoch moorings and St Tudwals Islands with the backdrop of the Snowdonia mountain range in the distance. 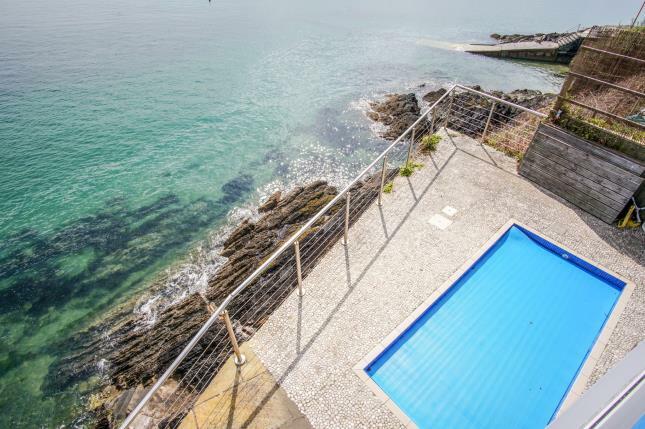 Private steps leading down onto the beach and sea below. 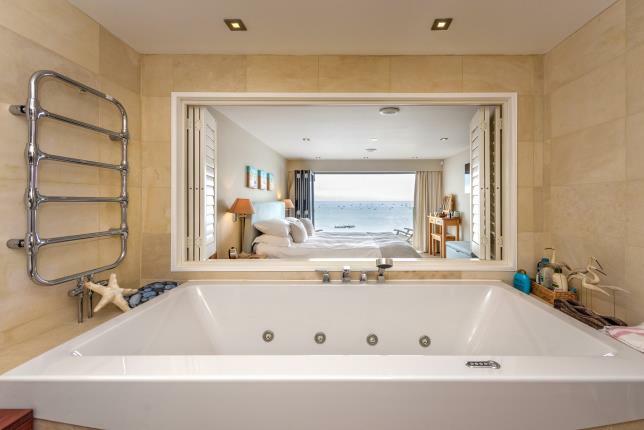 There are very few properties of the calibre of “The Brink”. 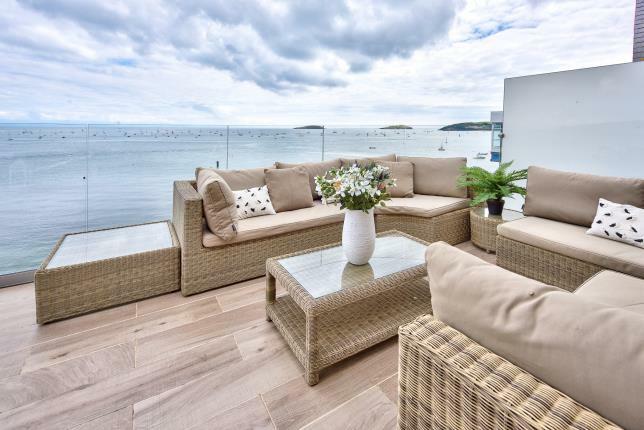 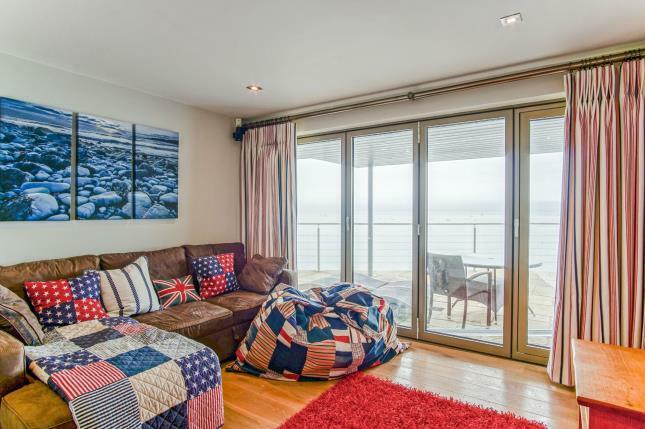 The property has excellent outside entertaining space and offers five bedroom (3 en suite) accommodation arranged over three floors. 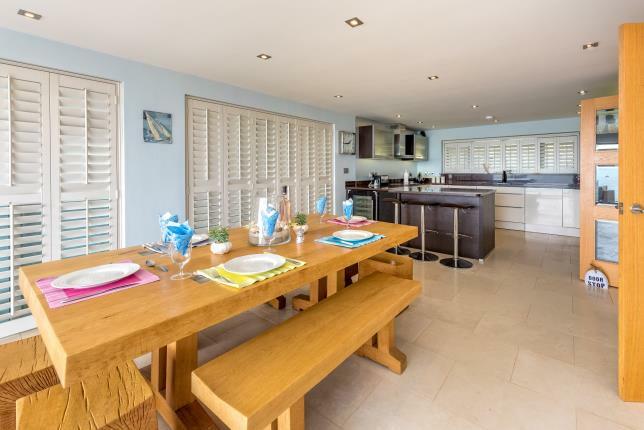 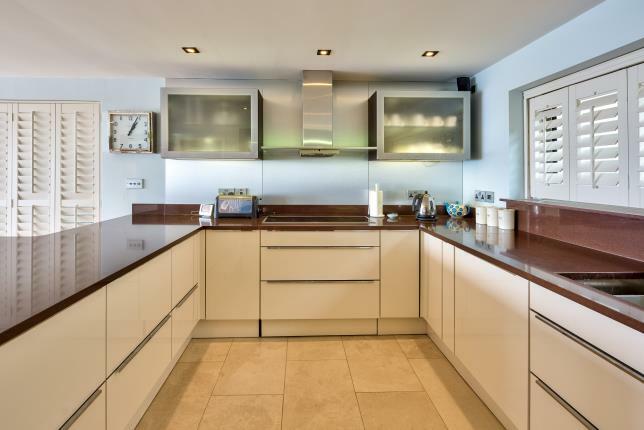 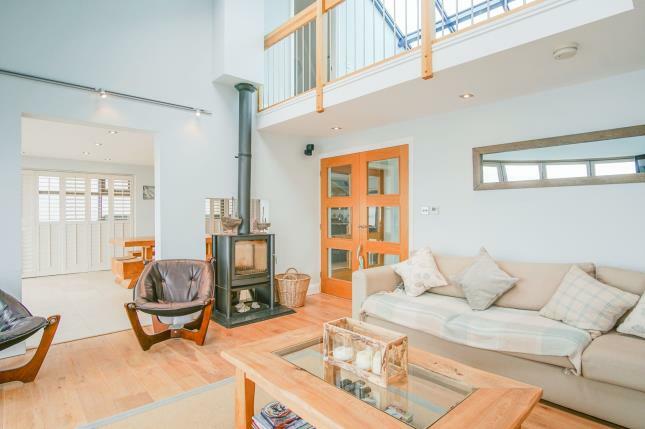 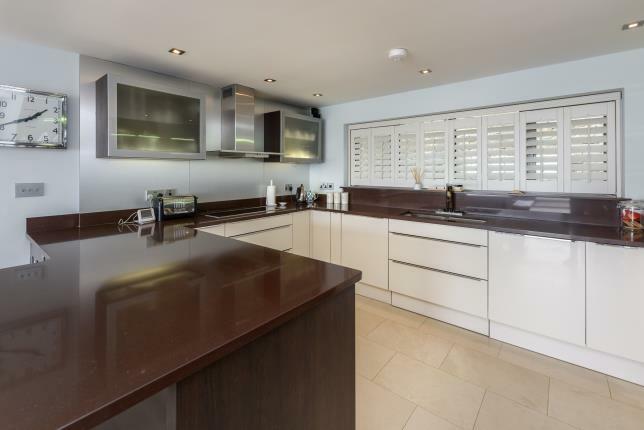 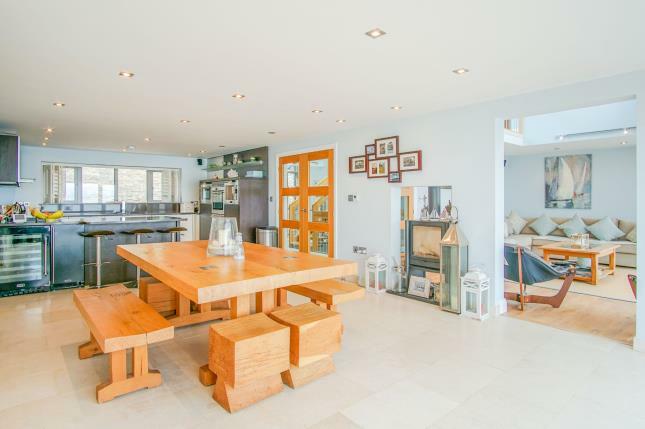 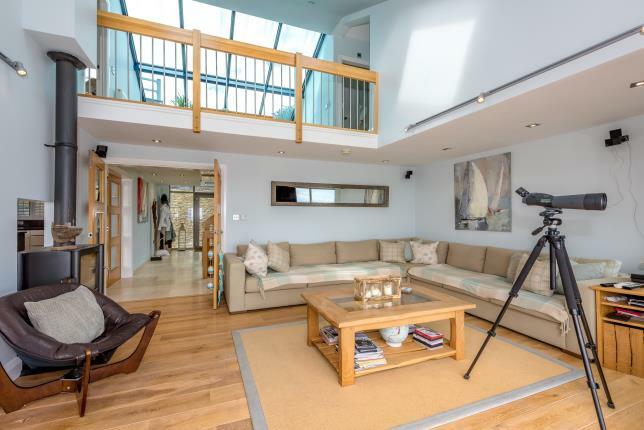 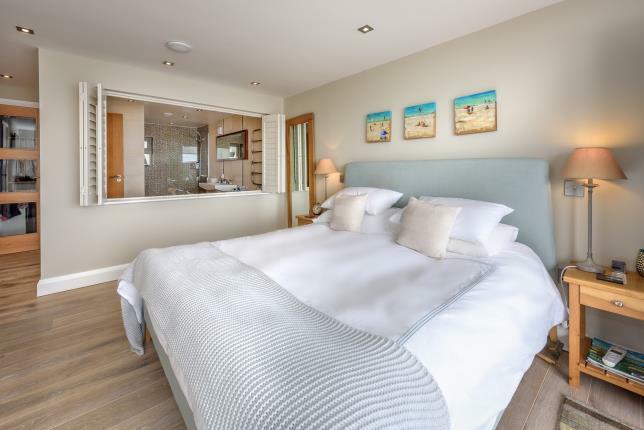 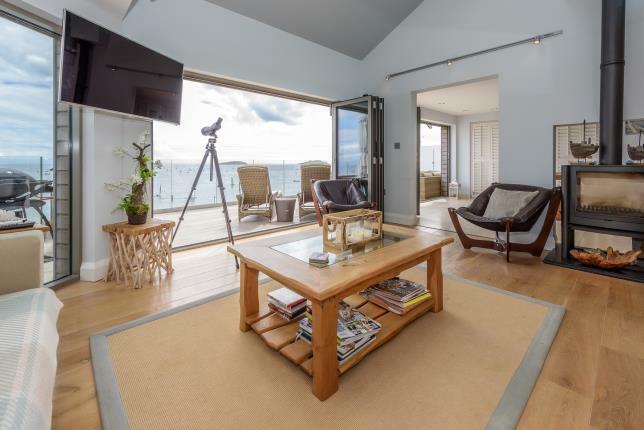 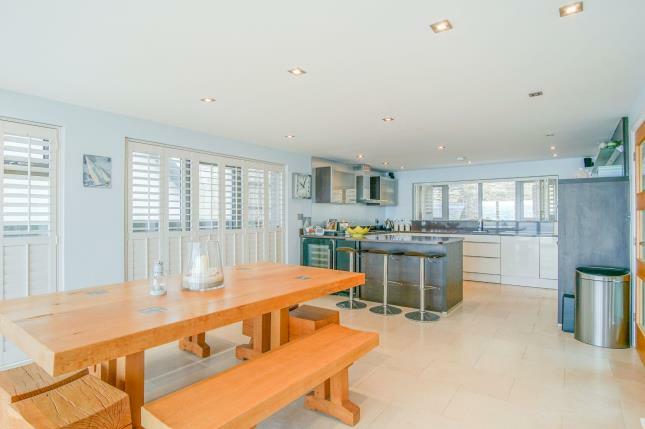 The property is approached down a flight of steps from the upper parking level with an entrance into an impressive partial glass roofed reception hall, a main living room area and spacious kitchen/dining room with large glazed Bi fold doors opening onto the full length south facing balcony. 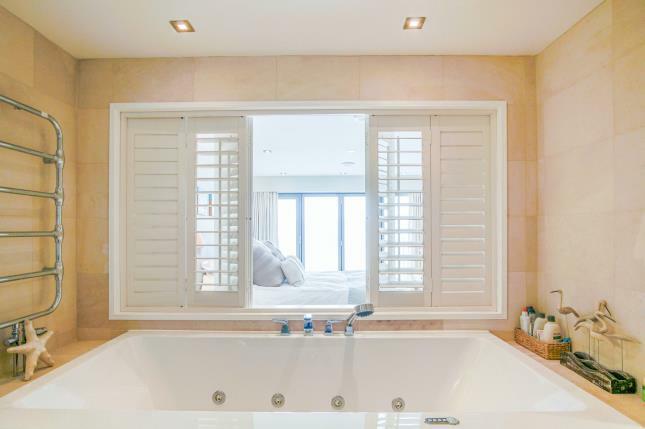 On the same floor a master bedroom with en suite bathroom and dressing room with a light oak staircase leading to the lower ground floor level with two further en suite bedrooms and a small lounge/snug, each room having access onto a sun terrace with a sunken plunge pool and the private steps down to the beach below. 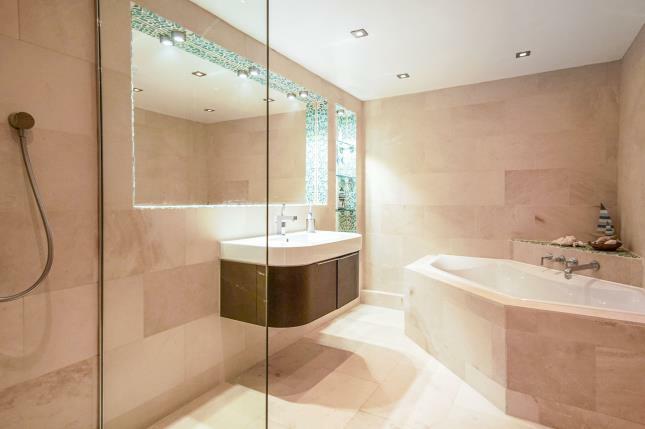 A further shower room and a most useful utility/laundry room. 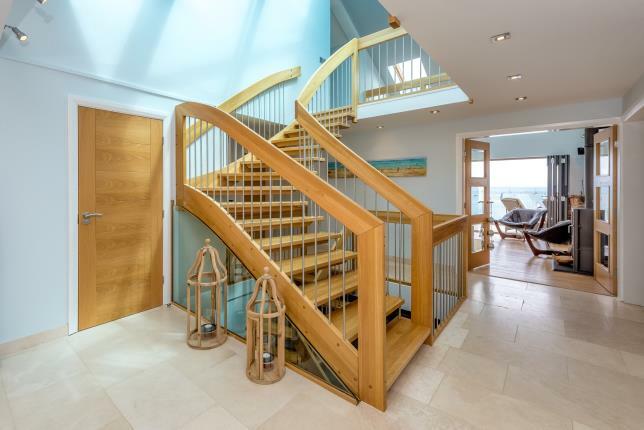 From the reception hall there is a stairway to the upper first floor providing two further double bedrooms with an additional shower room. 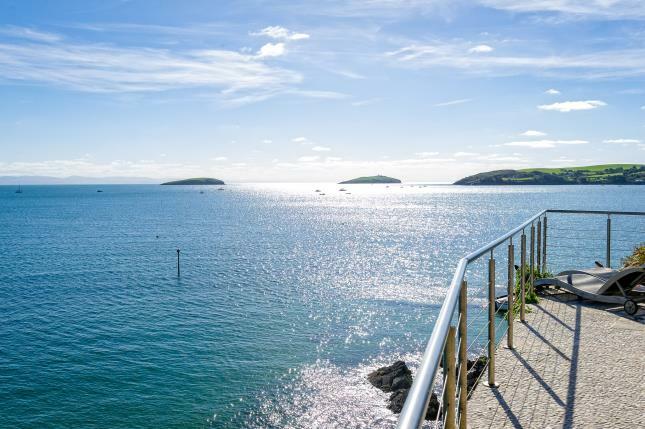 Externally, from the public car park area there are high double gates providing much security and leading onto a private parking space and beneath this a large storage unit, with flight of steps down to the main entrance.